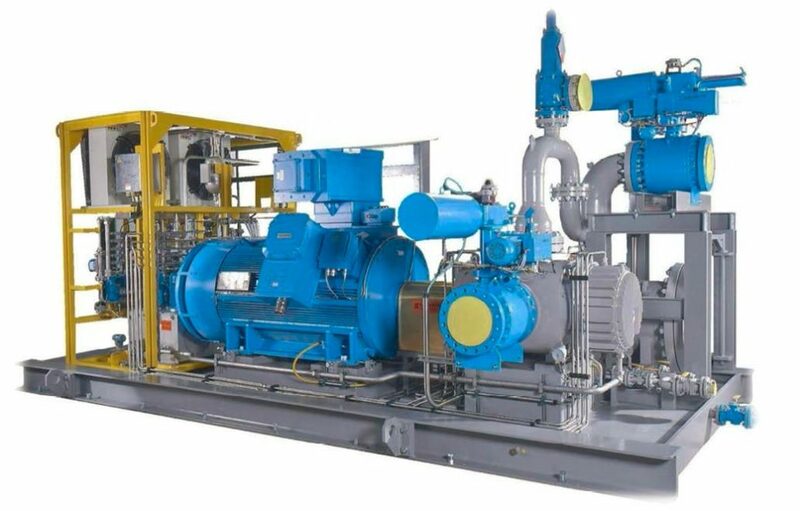 Twin screw pumps are ideal for multiphase production because they are positive displacement machines working independently of density and inlet pressure as well as backpressure and changes in GFV (Gas Void Fraction). 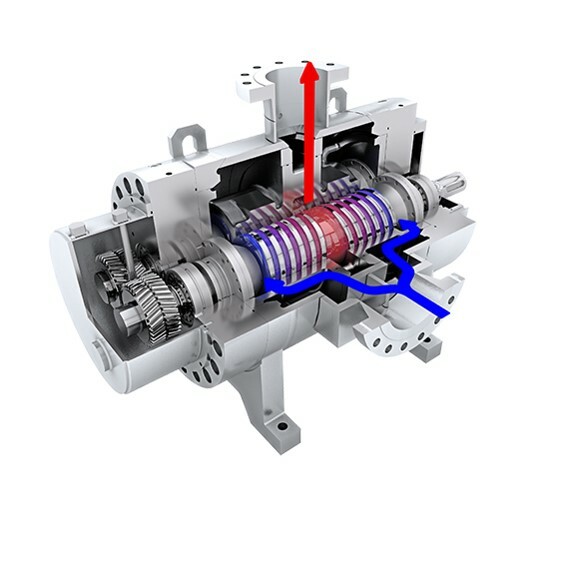 During the life of the field multiphase flow can be easily controlled by controlling the speed of the pumps. The pumps are built to handle 100 % GVF eliminating the need for slug catchers or inlet scrubbers. 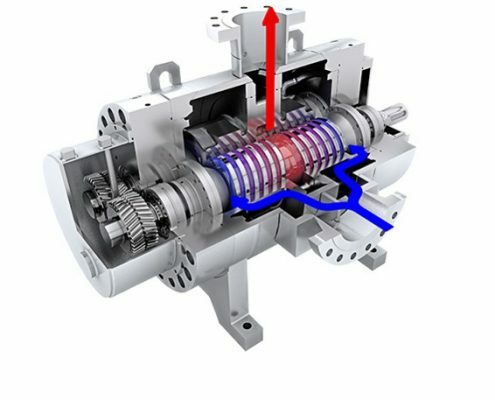 This is principally the same pump as 4 block non-contacting screw pump. High GVF (Gas Void Fraction) as well as wet gas are handled with recirculation of liquids. 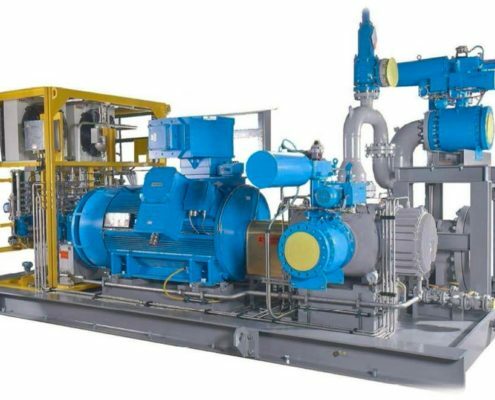 The compression heat is removed with the liquid and no process coolers are required.